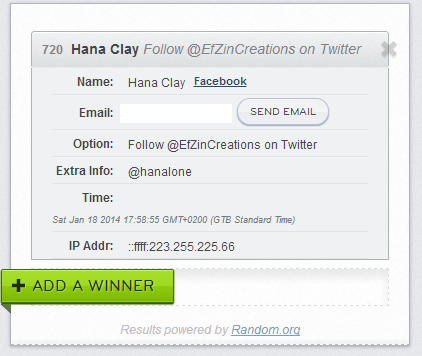 Giveaway Winner – Sarah the Paper Craft and Stamp Lady!!!! I know…Giveaway has ended and I haven’t post anything new or about the winner for the past days. Well actually there was a surprise for me and my family, since on last Tuesday we had our second child’s birth! And it is a boy! So as you imagine there was internet access or no free time from the maternity clinic for me. I have to say that I love Sarah’s work and their creations are really unique and you are going to love them and need them. For your etsy shop or any business, for your baby’s party, for your wedding or even for your gorgeous handmade wishing cards! Just click on her shop and you will be surprised! 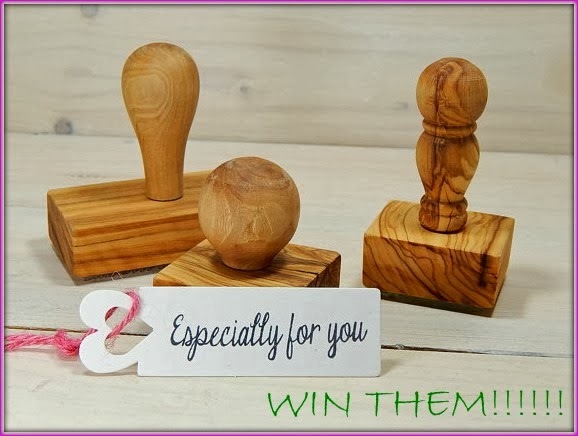 So now is the time to pick a Winner that wins an amazing custom made olive oil stamp just for her/him from ahueofduckeggblue collection! Congratulations Hana Clay!!!!!! We will contact you soon!!! Just do not forget to visit Sarah in ahueofduckeggblue for more gorgeous stamps and not only or like her facebook page! Stay in touch with Ef Zin Creations blog for the next amazing posts and the next Giveaway.